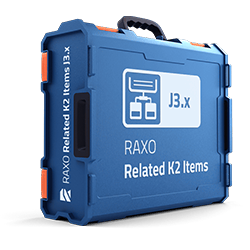 RAXO Related K2 Items is a convenient module that automatically shows a list of K2 items related to the current entry, introducing your reader to the relevant content from around your K2 site. Be sure that every occasional visitor from Google gets enough interesting items to read and stay on your site forever. With this module you will see lots of improvements on your site. First, related items simplify navigation between your content and increase the time site visitors spend on your site. Second, the module presents related K2 items in a very attractive way to immediately capture users’ attention thus decreasing your bounce rate. Third, you improve SEO. RAXO Related K2 Items suggests various ways to find related content – by keywords, by tags, by author or by category. So you can be sure that every of your K2 items will get attention. This functional module is able to find the match for every single item to keep your reader engaged and increase your page views. You can suggest your site visitors related articles by Joomla tags, or by author, or by keywords. No tags or keywords? That’s fine. You still can offer your site visitors a list of popular articles, latest news, most rated or most commented posts. Full control to select your content flexibly. Show related articles from current category, or from several categories, or from all categories. And if you want to exclude some categories - you can do that. Exclude some articles. Expand your article page with several module copies. Each copy may have its own settings, e.g. 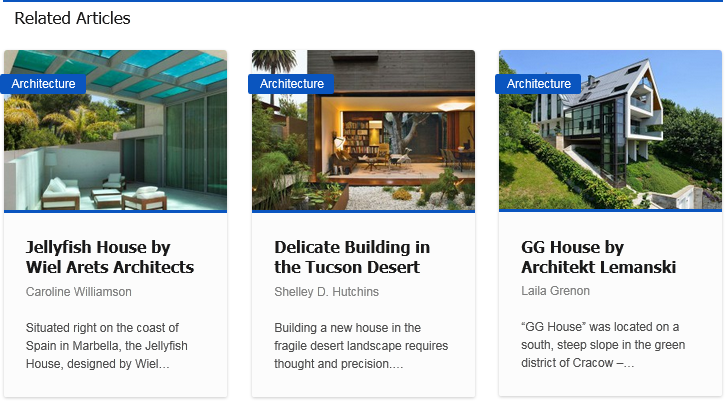 one module shows a list of related articles, another module suggests more articles from this author and in sidebar you show most rated articles in this category. Manage flexibly what content elements your related articles must contain. With few click you can easily configure to show thumbnails, title, intro text, rating, number of hits or comments to create individual look for each module instance. The module comes with 4 ready-to-use responsive layouts with a strong focus on contents and readability. Be sure they will look great on any device people are using — from desktops and laptops to tablets and smartphones. By giving your visitors more relevant content to read this module makes visitors to stay longer on your site, helps better user navigation around your Joomla articles, reduces bounce rate and improves SEO.